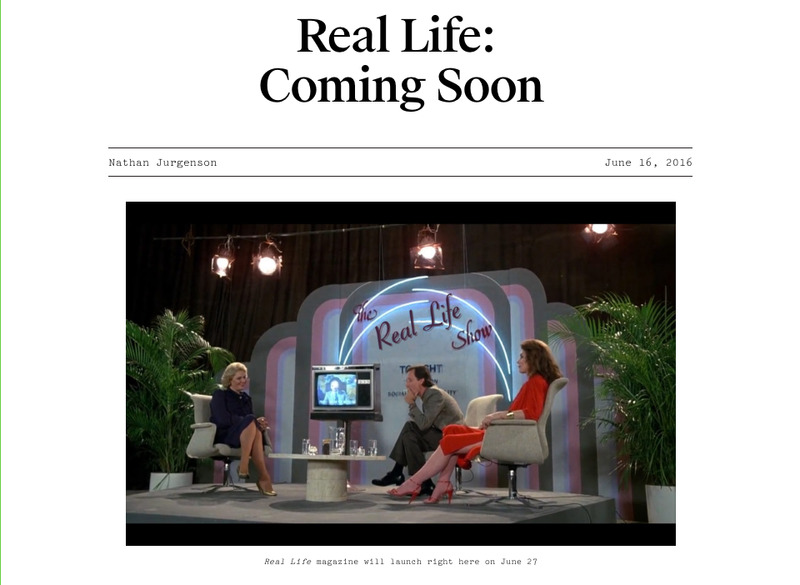 Snapchat is behind the launch of a new online technology magazine called “Real Life,” according to a VentureBeat report. The social media company’s involvement in Real Life was revealed in a blog post on Thursday by Snapchat employee and social media critic Nathan Jurgenson. A Snapchat spokesperson confirmed to VentureBeat that Real Life is “fully funded” by the company. Snapchat declined to comment to Business Insider.